Yenepoya Medical College and Research Institute Mangalore is a private medical institute offering medical studies to students. Read on to know more about this medical college in Mangalore. Srinivas Institute of Medical Sciences and Research Centre, a medical college in Mangalore offers quality education. The college offers a number of courses and state-of-the art facilities to its students. 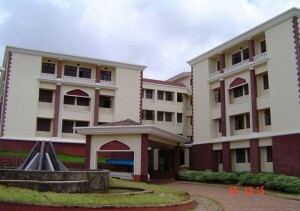 KS Hegde Medical Academy is one of the leading medical colleges in Mangalore. Read on to know more about the courses, facilities etc at this medical college in Mangalore. Kasturba Medical College, Manipal is considered as one of the top five medical institutions of the country. Read on to know more about the facilities and courses at this medical college in Manipal. 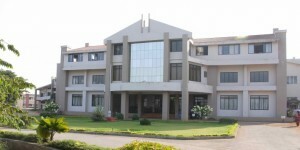 Shimoga Institute of Medical Sciences is a reputed medical college in Karnataka. Read on to know more about the courses, admission procedure and other details about this medical college in Karnataka. Belgaum Institute of Medical Sciences is one of the leading medical colleges in Belgaum. The medical colleges offers excellent facilities. Read on to know more about the admission and course details . Find out more about the courses, admission procedures and facilities offered at A.J Institute of Medical Sciences (AJIMS). We have also listed the documents that need to be submitted during admission.